At Habitat for Humanity Mid-Vancouver Island we wouldn’t be successful without the dedication of our amazing volunteers. To mark National Volunteer Week 2019 we wanted to say a huge thank you to all our volunteers past and present. During 2018 our volunteers gave over 7,250 hours to our organisation, every hour helping us towards our goal of safe and secure homes for our communities. 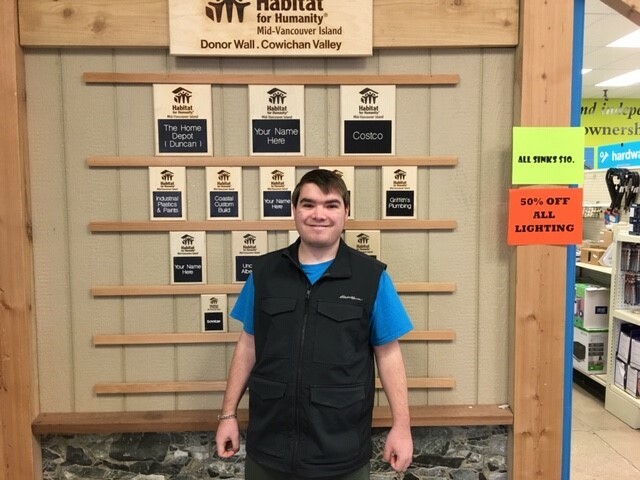 To find out more about volunteer opportunities within our ReStores, on our Build site in Cowichan this summer and our student volunteer programme visit the get involved pages now. we hope to see you in one of our blue volunteer shirts soon! Pictured: Myles, a volunteer at our Duncan ReStore.